Are you a fan of Tumblr? 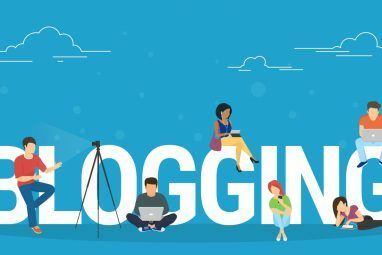 The blogging platform is a combination of a blogging service infused with social networking, and is home to the most creative, humorous and thoughtful posts. With a simple backend that lends itself to creating and sharing fresh content that you like, it is home to some of the most viral content online. Because of the sheer amount of content on Tumblr, sometimes you really do have to filter through a lot of similar content to find the gems. For that reason, we’ve put together lists of recommended Tumblr history blogs that we think you should be following. We’ve already introduced you to 8 Tumblr blogs every writer and book lover should follow 8 Tumblr Blogs Every Writer & Book Lover Should Follow 8 Tumblr Blogs Every Writer & Book Lover Should Follow Tumblr is known as being a great blogging platform for visual content, and is a photographer's smorgasbord of just about everything you could possibly imagine. 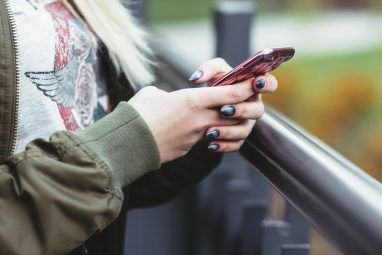 That said, there's also an incredible wealth of content that... Read More , 7 news and political blogs you should follow Tumblr Isn't Just For Photography: 7 News & Political Blogs To Follow Tumblr Isn't Just For Photography: 7 News & Political Blogs To Follow Are you big fans of Tumblr? Here at MakeUseOf, we certainly are. The blogging platform brings together the idea of blogging together with social networking and has become home to some of the most creative,... Read More , 10 humorous Tumblr blogs Need A Good Laugh? Follow These 10 Tumblr Blogs Need A Good Laugh? Follow These 10 Tumblr Blogs Are you big fans of Tumblr? Here at MakeUseOf, we certainly are. The blogging platform brings together the idea of blogging together with social networking and has become home to some of the most creative,... Read More , and this week we’re taking a stab at the best in history that Tumblr has to offer. Turning an eye to world events, This Day in History is a great way to get a daily history lesson delivered to your screen via Tumblr. With everything in their recent posts from George Washington becoming the first US president to the Chernobyl nuclear explosion – the blog covers all eras and continents to bring you a well-rounded daily history lesson. Cool Chicks from History is a must-follow for all history buffs and fans of empowered women. Another blog that spans the continents and eras, featured women include well known names like Hillary Clinton and Amelia Earhart, to lesser known women who have made a difference in women’s rights through the ages. The Cartography Collective began with a habit of saving the beautiful maps I found traipsing about the web, to a folder on my computer. Eventually, this folder became hearty and fat, stuffed full of maps, and I thought it’d be lovely to have them displayed via a blog, and thus, in February 2011, The Cartography Collective (originally just Cartography, a rather bland, but to the point, name) was born. With maps from the 14th to the 21st centuries, from all over the world, the Cartography Collective is an amazing resource for all things map-related. You can spend hours going through the archives, since sadly, the blog will no longer be updated on a regular basis. A log of news items about archaeology of the ancient Mediterranean – Egypt, the Aegean, Greece, Rome. Black History is an incredible resource, and a beautifully designed blog at that too. It catalogs men and women of note from the African American community, with everyone from actor and comedian Bill Cosby to the “Black Godfather of Silicon Valley,” Roy Clay Sr. The blog is a fascinating introduction or (re-introduction) to personalities that have made a significant difference in their respective fields. If you want to know more about the motivation behind the blog, check out the interview with the blog owner, Alex Pierce, here. Which Tumblr blogs would you add to this list? Let us know in the comments. is there a link for black history one?